When I give talks this is usually one of the areas I like to cover. Everyone wants to be healthy and avoid seasonal bugs and viruses. But how can you accomplish that? Below is a short and concise article written by Extraordinaryhealth.com that will answer just that. For an article, I wrote on Gut Flora and Autism please click here. You want your immune system functioning optimally all year long, but you especially need it to be on guard when there’s “more in the air” and beyond that can adversely affect your health. The upcoming fall season is among those times. We’ve discussed this before, but your immune system is always on guard, and your immune cells continuously circulate in the bloodstream or your lymph nodes in order to move quickly to minimize unwanted invaders. To ensure a strong immune system, it’s important to consume healthy proteins, antioxidants, probiotics, enzymes, essential fatty acids, vitamins and minerals. For example, healthy proteins are needed for adequate numbers of, and for proper functioning of, immune cells. Likewise, vitamins A, C, D, E, K, the B vitamins and the minerals zinc, iron, copper, selenium and manganese are essential for healthy immune cells. Vitamin D, for instance, is a powerful immune supporter. It inhibits negative autoimmune responses by positively modulating cell responses. If you come up short on vitamin D, however—and 75 percent of American adults and teens do—then cells can attack the body instead of fighting off unwanted invaders. You also probably have a list of foods that you associate with strong immunity—and that’s good. But don’t underestimate what green foods can do for your immunity as well. That’s right. Green foods can help your immunity, and here are some specific ways they can. For example, researchers from Babraham Institute in Cambridge and the Medical Research Council’s National Institute for Medical Research found that what’s in green veggies such as broccoli and Chinese cabbage interact positively with immune cells in the gut. And by the way, that’s no small deal, either, since up to 80 percent of your immune cells are housed in the gut! So, when your gut’s healthy, then most likely your immune system is as well. The gut immune cells, called intraepithelial lymphocytes or IELs, are protected by and increased in numbers by green veggies’ chemical makeup. But here’s the kicker: the green veggies’ compounds activate those precious immune cells, but when green veggies were removed from the test animals’ diet, then they lost 70 to 80 percent of those valuable immune cells within two or three weeks! The test animals then became more susceptible to infections and injuries. Along similar lines, a study published in Nature Immunology says that eating cruciferous and leafy green veggies activates the immune gene called T-bet, which is necessary for the development of a subgroup of cells in the innate immune system. And when the T-bet gene is activated, then it increases production of immune cells called innate lymphoid cells, which help to fight off harmful bacteria in the gut. Those same innate lymphoid cells may also support healthy inflammation levels in the gut, lower food sensitivities and support a healthy weight. 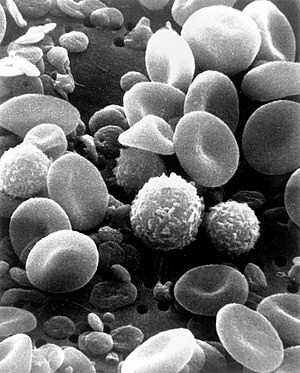 • improved immune cell number, including T-cells (which can send chemical instructions to the rest of the immune system, can recognize and kill virus-infected cells or even help B cells make antibodies to assist in an immune response) and Natural Killer (NK) cells (powerful immune cells that serve to contain viral infections, among other important immune-related tasks). • better mucosal cell function. • amped up antimicrobial defenses. • restoration of normal healthy flora microorganisms—probiotics. In short, eating your greens can help express digestive genes that then can boost the innate immune response—also known as the non-specific immune system—and is the first line of defense against invaders. There you have it. This fall, be better prepared to face whatever this season throws at your immunity.